The pension scandal that rocked the country earlier this year has yet to lead to any arrests or indictments, but it has had a ripple effect across the country, as some states and government agencies audit their books with a fine toothcomb, looking for ghost workers, discrepancies and mispayments. Palindromic number of workers aside (4,334), Abia State is the latest to publish the results of the audit. 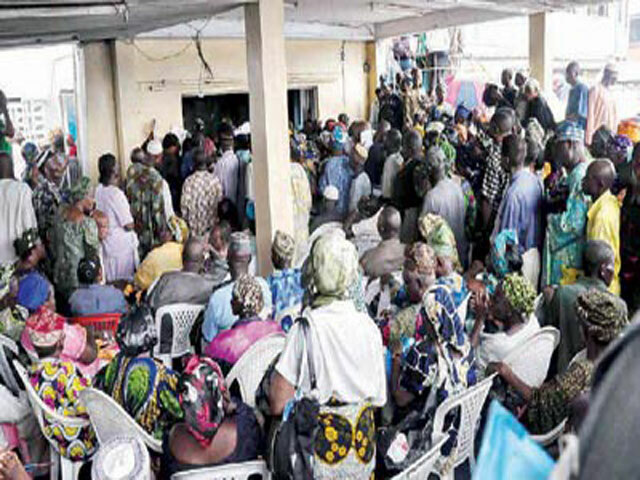 Abia State Government has announced the discovery of no fewer than 4,334 ghost pensioners on its payroll. The government said the ghost pensioners were discovered by the consultant it engaged in February to audit the state’s pensions system. The audit firm was said to have recovered over N88 million being paid to the ghost pensioners. A statement from Mr. Ugochukwu Emezue, Chief Press Secretary to the Governor of the state said the audit revealed that the ghost pensioners had been milking the state government. Emezue noted that as at February 2012, over N88,072,529.00 had been recovered.